- As Some Liberals Blame President Trump For Austin, Texas Bombings, Watch The Coming 'Blame Game' Within The MSM VERY Closely! While thankfully, the reign of terror being carried out in Austin, Texas appears to have come to an end with the death late last night of Mark Anthony Conditt, we get a hint of where this may be going from here in this new Daily Mail story which reports Conditt's 'campaign of terror' was specifically carried out by a white man against 'people of color'. Every day the dumb Americans get these warnings of how the reckless message of hatred being put out by Trump daily is poisoning America but Americans are too stupid and too thick to join the dots and do something about it. While the former FBI deputy assistant director of the Counterterror Division, Terry Turchie, recently claimed that the serial bombings that we'd been witnessing in Austin, Texas just had a 'game changer' with the package bomb exploding at a Fed-Ex facility in San Antonio, we remind you that none other than Florida school student David Hogg had put out the following tweets just days before the string of bombings began on March 2nd, urging his followers to target Fed Ex. And while there is still no known motive being shared by the msm for these bombings, as David Knight from Infowars reports in the first video below, someone claiming to be the bomber recently went on Reddit and claimed his motivation for the bombings was to 'burn down the world'. Was the bomber 'antifa' Knight asks, or will it soon come out in the msm that Conditt was a President Trump supporter, perfectly fitting the mainstream media's long-running agenda? While some law enforcement officials have claimed that there still may be more bombers and possibly more unexploded bombs out there while other experts warned the "co-ordinated acts of terror" reminded some within law enforcement of 'the unabomber', how the mainstream media spins this story in the next few days will tell us if this is part of their 'agenda'. "Never let a good crisis go to waste". While President Trump correctly stated yesterday “the bombings in Austin are terrible… This is obviously a very, very sick individual or maybe individuals”, the fact that practically anyone in that region could have suddenly become this 'sicko's' next victim by simply walking down the street and tripping a wire had understandably unnerved many. As Clint McNear, a former Garland detective in the Austin area recently stated, "they've gone from targeting a specific individual to 'I just want to kill someone'. That's concerning". With McNear also saying that the bomber's shift away from a motion-triggered bomb to one triggered by a wire showed a certain amount of 'sophistication', was Conditt former military who had that level of training or potentially another 'patsy'? We should all be watching very closely to what unfolds in Austin and within the mainstream media from here on out with the attention of America on that area at a time when the independent media has warned of potential 'false flag events' to take attention away from where it should be (Hint: Inspector General Michael Horowitz's report to be released soon), and refocus it some place else. And with the national media's attention upon Austin soon after CNN itself 'went to war' with Alex Jones and Infowars, which also just happens to have its headquarters there in Austin, we've got to ask if what we're witnessing might be some kind of sick, psychological ploy and diabolical plan to take down Infowars and the 1st Amendment with the possibility that the 'mad bomber' might later be identified as an 'Infowars reader', or at least that's what the msm and 'deep state' will tell the public. The fact that they're already reporting that Conditt was a 'home-schooled Christian' could be looked at as 'a tell'. And now we learn in the 2nd video below and the post screenshot below from 'QAnon' that an FBI investigation has actually been opened into 'Q' and his recent 'boom' statements possibly being tied into the Texas bombings in an attempt to end his communications with the outside world, whether 'Q' be a President Trump official or some kid sitting in his mother's basement. And while at this moment we have no proof that such that a sick 'deep state' scheme was hatched, with everything else we've been witnessing across America since President Donald Trump was elected and the 'deep state' went to war against him, any kind of events like this, and the mainstream media's 'chosen narrative', could also be looked at through the eyes of Victor Suvorov and 'grey terror'. If America really is under some kind of a 'communist overthrow' with the US Constitution, the 1st Amendment and the 2nd Amendment's now in the crosshairs, the kinds of tactics used by Russian spetsnaz prior to subverting a country including random bombings to create an atmosphere of terror before the final events were carried out, events blamed upon 'anonymous' others. The overture is carried by agents of the secret services of the Soviet satellite countries and by mercenaries recruited by intermediaries. The principal method employed at this stage is `grey terror', that is, a kind of terror which is not conducted in the name of the Soviet Union. The Soviet secret services do not at this stage leave their visiting cards, or leave other people's cards. The terror is carried out in the name of already existing extremist groups not connected in any way with the Soviet Union, or in the name of fictitious organisations. 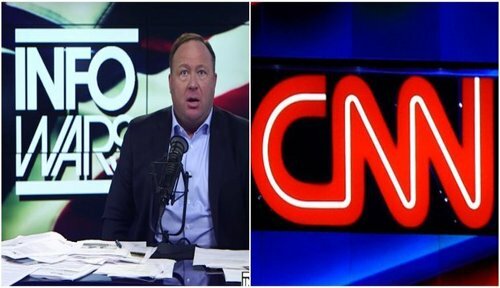 While we're sure we'll be called 'conspiracy theorists' for even suggesting such a potentially diabolical plan could exist, speculation is all that we have right now with no motives yet made public and as we see, some are speculating that Netflix itself may have 'triggered' Conditt into carrying out these cowardly acts of terror. According to Paul Joseph Watson in this recent story over at Infowars which the Drudge Report linked to on Tuesday, with some making comparisons of the Austin, Texas bomber(s) to 'unibomber' Ted Kaczynski, people are beginning to ask whether this string of bombings was inspired by a recent Netflix series which largely portrayed the 'unibomber' in a positive light. While the show does offer condemnation of Kaczynski’s terrorism from the perspective of his victims, much of the series romanticizes Kaczynski’s motives and his character is portrayed somewhat sympathetically throughout. Many are now asking if the Austin bomber was inspired by Kaczynski and the Netflix show that brought him back to the public’s attention. "Who wants to bet that the Austin bomber has been inspired -at least in part- by the Netflix original series, "Manhunt?" “Is it a coincidence that Manhunt: Unabomber, a show that gave Ted Kaczinski’s views a very serious platform and sober analysis aired very recently and now we are seeing a serial bomber in action?” wondered Steve Mager. Should the mainstream media apparatus jump on this story over the next several days in a series of co-ordinated stories blaming President Trump and his message for these bombings, we'll have more evidence that this was another 'deep state' plan. With Gateway Pundit recently reporting that bomber Conditt had a very limited social media presence also suggesting that all of his left-wing leaning posts had likely been scrubbed, the msm will surely push its 'chosen narrative'. As we reported on ANP back on August 15th of 2016, prior to the election thankfully won by President Trump, societies move from open, free societies to 'closed societies' in a relatively quick and totally planned fashion. 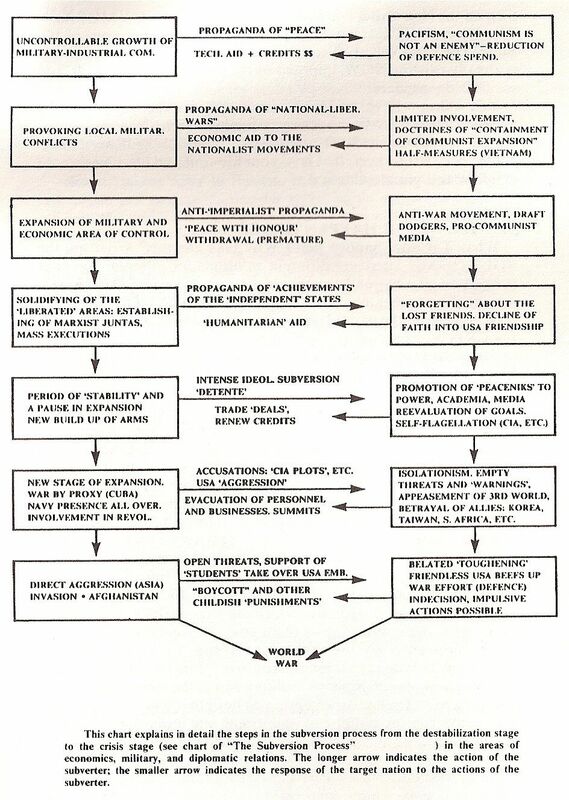 Reporting then upon the "Bezmenov Subversion Charts" based on information provided by Russian defector Yuri Bezmenov, we are still seeing in the headlines of today's news stories Bezmenov's warnings to America and the free world coming true before our very eyes. 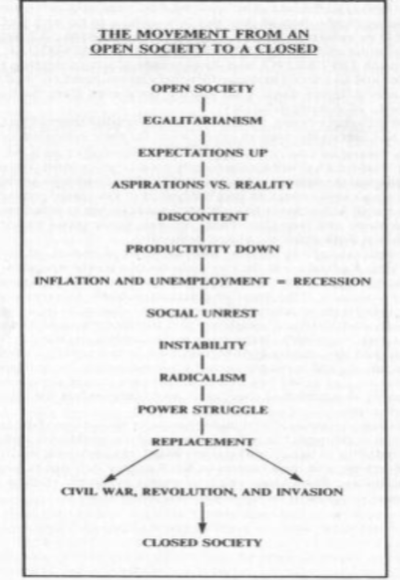 The full Bezmenov Subversion Chart is at the bottom of this story. 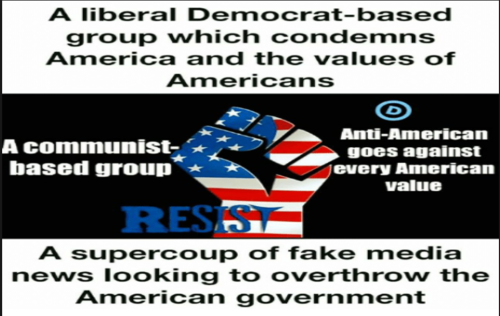 I suspect another FBI, CIA, MKULTRA operation with the agenda of causing more civil unrest. These Communist globalists are pulling out all the stops and just itching to stir up trouble where ever they can. Their father is satan and satan seeks to cause havoc, chaos and mayhem everywhere. One of the final phases of a Communist takeover is civil unrest.